Robert J. Michaels, Ph.D. is professor of economics at California State University, Fullerton, and Daniel Haan Research Fellow in Law and Economics. He is also an independent consultant to the electricity and natural gas industries. He is an adjunct scholar at the Texas Public Policy Foundation, Cato Institute, Institute for Energy Research, and National Center for Policy Analysis. 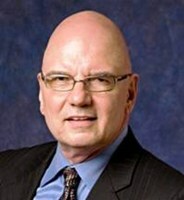 He writes and consults on deregulation and competition in the electricity and natural gas industries. 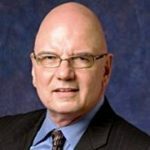 He has advised state commissions, electric utilities, power marketers, natural gas producers, pipelines, public interest groups, and governments on regulatory and antitrust matters. 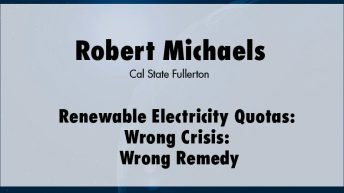 He has participated in electricity restructurings in California and other states, served as expert witness in utility mergers, and provided testimony to the Federal Energy Regulatory Commission, the California Public Utilities Commission, the Illinois Commerce Commission, and the U.S. House Subcommittee on Energy and Power.